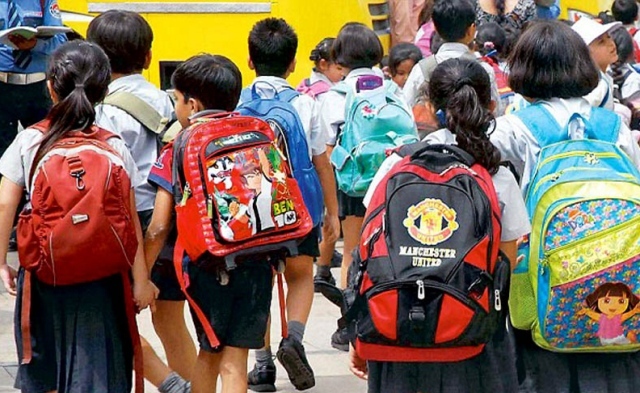 ONI Bureau: In a major relief for class students, HRD Ministry on Monday issued a notice as schools cannot assign homework to students of classes 1 and 2. As per these instructions, no homework will be given to the children of Classes I & II and to evolve a concept of alternative to homework for the students of Classes III to V.
Schools should not prescribe any other subjects except language and mathematics for classes I and II. Likewise, not to prescribe other subjects except language, EVS and mathematics for classes III to V students as prescribed by National Council of Educational Research and Training (NCERT), the official order said. These fresh directives issued to all states and union territories across the country. Prescribed weight limit of school bags for each class are also part of the fresh directives. The weight of school bags for students of classes I and II should not exceed 1.5 kg, while the school bag of students of class III to V should weigh between 2 – 3 kgs, the order said.